Can An App Replace Your Girlfriend? Yes! KillerStartups > Rising Startup Stars > Can An App Replace Your Girlfriend? Yes! I’m not a big believer in stereotypes. I know plenty of men who know how to dress well. I even know a few who dig shopping for new clothes. What I do believe in however is the idea of having options. Female folk are cursed with things like menstrual cramps and feeling the pressure to wear shoes that double as torture devices. Along with all of these annoyances though comes the happy fact that women have a TON of options when it comes to getting clothes they’d feel good in. Founder of Men’s Style Lab, Derian Baugh thinks he may have a solution. Baugh recognized two trends that tend to get in the way of guys having a successful (i.e repeatable) shopping experience when looking for clothes. Some dudes just aren’t into going to a bunch of different stores, and trying on different combinations of clothing until they get something that looks great. Other times they know what they like, in the sense that they have a solid goal for what they’d like to buy or wear but aren’t totally sure how to get there. 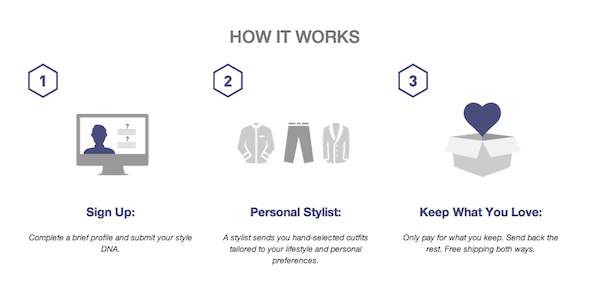 Baugh’s personal stylist app, Men’s Style Lab has developed algorithms that can actually predict what their customers’ tastes are. This algorithm allows his company to essentially deliver “concierge” level services at prices a normal guy can afford. After figuring out the kind of colors, patterns, and cuts a user is into, the site will delver a box of clothes based on the preferences and occasion the user has input into the system. Worried about buyer’s remorse? Don’t be, customers get to keep what they like and shipping (both initial and return) is totally covered. 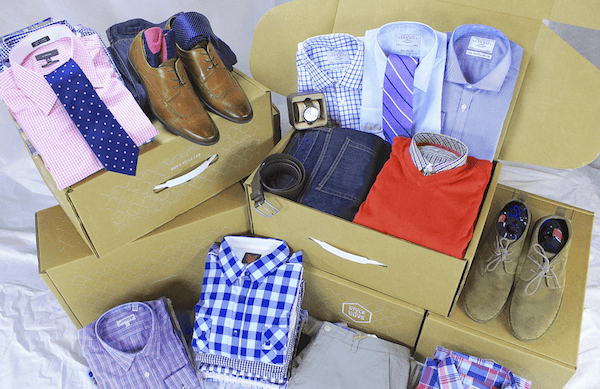 On top of figuring out the math for what individual users are looking for, Men’s Style Lab also has personal shoppers that help put a more individualized touch the box of clothes that arrives on users’ doorsteps. Baugh says that boxes are about 80% algorithm 20% personal shopper. The future of men’s fashion? At the moment Men’s Style Lab is already offering a pretty awesome product. It’s blend of technology and that personal touch should be an easy sell to most guys out there looking to look good without wasting time or money, but Baugh has plans for the future. He’s hoping to develop an app that guys can use on their mobile devices that can take into account date, weather, and occasion to rush order an outfit for a user looking to dress for a particular occasion. Their prices are pretty fetching too. Customers order “looks” not just one piece at a time so prices will vary a bit but the site has great looking shirts and sweaters all well within the $50 to $100 dollar. 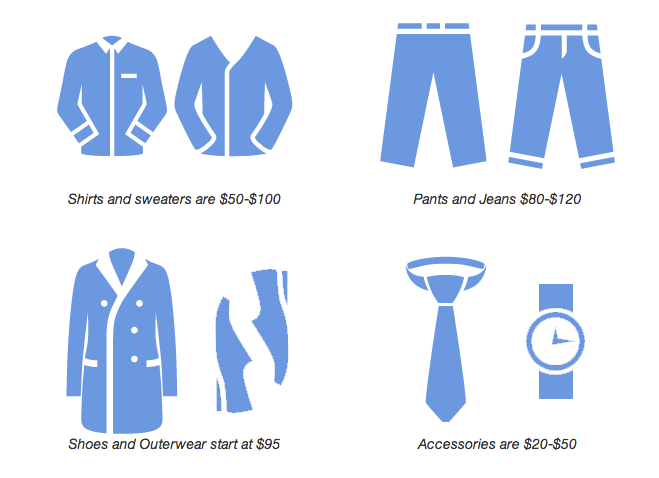 Pants and jackets are similarly priced, with their accessories being down right accessible. In an age when drones drop off our orders from Amazon this idea actually isn’t too far fetched. Stereotypes aside, most people are looking do take of the things they need to do (like buy clothes) in a way that is easy, streamlined, and pressure free. It looks like the guys behind Men’s Style Lab are offering just that.